Telangana Assembly Elections 2018 had been held on Friday, December 07th. Results will be declared today, December 11th. Votes counting has started at 7.30am. EVMs are secured in strong rooms under tight security under supervision of Election commission. Total 1821 candidates contested from 119 constituencies. 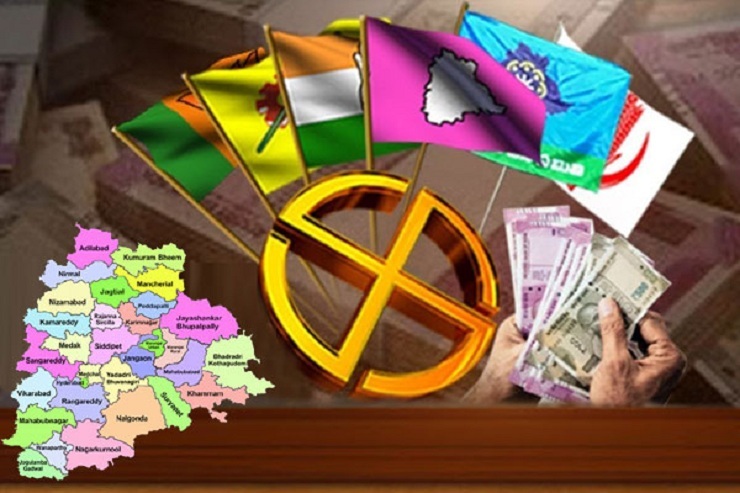 The main fight is between ruling TRS party and Mahakutami, the grand alliance of Congress, TDP, TJC and others. BJP is also contesting in 119 constituencies. Bellampally is expected being small constituency with less voters. Adilabad and Bhadrachalam are also is expected early. Serilingampally is the biggest constituency. TRS won 65 and leading in 22 constituencies by 3pm. Congress+allies won 16 and leading in 06places. MIM won 4 and leading in 3 places. BJP won only 1.